The following is a summarized quote from the trailer of Rob Bell’s new book Love Wins. Though roughly summarized, one could get the point of where Bell is going with this. Since the release of the book, the Christian community has been in an uproar over what the mega church pastor is saying: justifiably enough, However, I’m not here to voice my opinion on whether Bell is a Universalist or if what he’s saying is correct. Let me take you back to a few months ago before the world knew about Love Wins. I began attending a class at a church that I regularly do not attend. 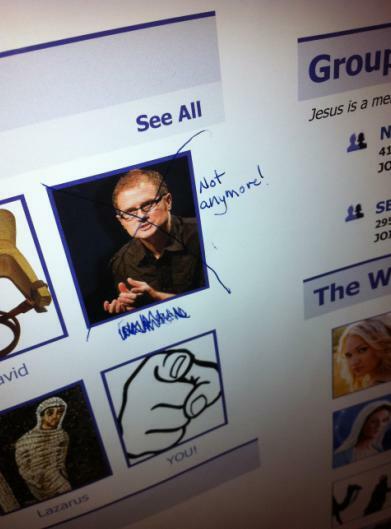 On the wall of the class room I was in hung a poster of Jesus’ “so called” Facebook page—as if it were something real. 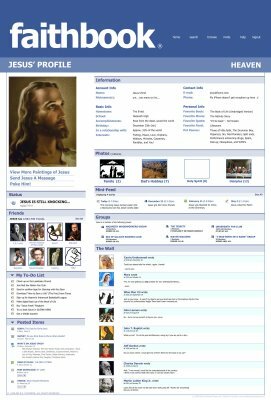 Along the many categories, quotes, groups, and comments was Jesus’ friend list. It contained some of the more notable names within the Christian faith: C.S. Lewis, King David, David Crowder, and YOU! Among these names was Rob Bell—third on the list. I attended this class throughout the time of about nine months. It was during this time that the rise of Bell’s new book came about. One evening I entered the room as usual; perhaps I was getting coffee when I noticed that the poster had been altered. Rob Bell isn’t Jesus’ friend anymore? And someone knows this for sure? And felt the need to let the rest of us know? For the first time in my life I have witnessed true irony.